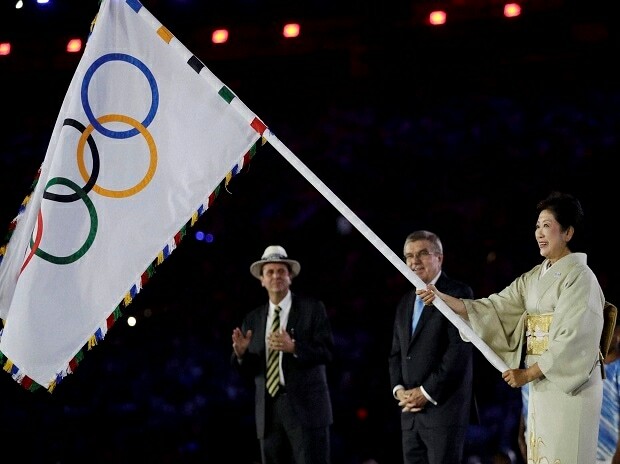 Tokyo Governor Yuriko Koike in Rio, accepting the Olympic Flag in the closing ceremonies of the Rio Olympics. The Rio Olympics were coming to an end, but there was still one thing left to do – hand the Olympic flag over to Japan. And there she stood on stage, to the left of IOC President, Thomas Bach, waving the flag, and accepting the heavy responsibility of the 2020 Olympic Games. Japan is very much a man’s world, particularly in Japanese politics and government. So it was a powerful image to see Yuriko Koike, elegant in a cream and gold-colored kimono, representing Japan on the biggest sports stage in the world. While the world awaits to see whether America will elect its first female president, Tokyo has already gone ahead and elected its first female governor. A former journalist who speaks Arabic, Koike was elected to an Upper House seat in 1992 for the Japan New Party, which no longer exists. After serving 8 terms, she was tapped to be the Environment Minister from 2003 to 2006 under Prime Minister Junichiro Koizumi. In other words, Koike is an experienced politician. And yet, when the former Tokyo governor, Yoichi Masuzoe, reluctantly resigned due to his personal use of public funds, Koike’s own party did not race to support her. Suspecting that support might not come her way, Koike declared her candidacy for the governorship, much to the anger of the LDP. Her party’s lack of support was not an issue as Koike won the election in a landslide on July 31, 2016. She ran on a platform that included a call to revisit the Tokyo 2020 budget. But her opening salvo was directed at the planned move of the famous fish market in Tokyo from Tsukiji to Toyosu, 2 kilometers south of the current site. Toyosu would apparently have more room for expansion, as well as more modern facilities. The new site was previously the home of a large gas processing plant, the grounds of which had become heavily contaminated. Thus the condition for approving the move to Toyosu was to ensure no traces of contamination. The Tokyo Metropolitan Government was charged with removing 2 meters of soil, decontaminating it, and then placing another 2.5 meters of new soil to ensure that the food, 1 million tons of fresh fish, fruit and vegetables, could be stored, prepared and sold in total confidence of safety. This work was completed in 2014 at a cost of about JPY86 billion (USD800 million). When the new governor asked for confirmation whether these safety measures were carried out or not, she learned that the space underneath the five main structures on the site, over 30% of the entire site, did not have the required 4.5 meters of decontaminated and fresh soil underneath them. Instead of soil, hollow spaces were created underneath the buildings. This is an example of Koike’s reporter’s instincts to challenge authority and uncover unjust practices. Already she has challenged previous administrations in the Tsukiji Market relocation. What else will be uncovered? Will anyone be held accountable? 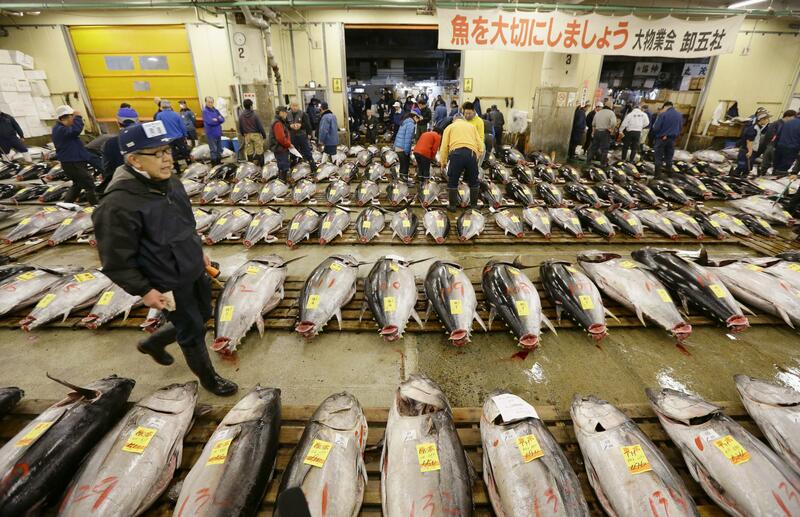 What will happen to Tsukiji Market? Who knows. But right now, the right questions are being asked. What are the implications for the 2020 Olympics? Perhaps, a bit of the same…..
Posted in Economics, Environment, Rio Olympics, Tokyo 2020, Tourism and tagged contamination, Governor Koike, rio olympics, Thomas Bach, Toyosu, Tsukiji Fish Market, Yoichi Masuzoe, Yuriko Koike. Bookmark the permalink.